This post may include affiliate links which means I may earn a small commission if you shop using the links below at no additional cost to you. 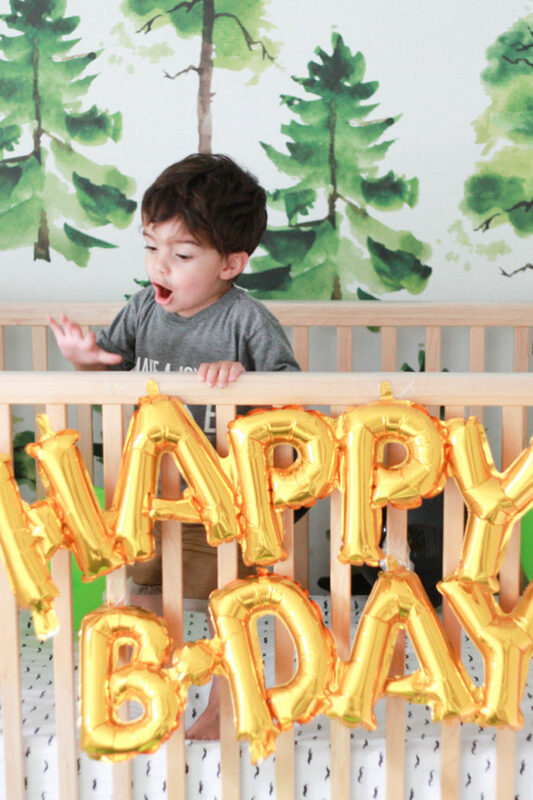 Thanks so much for supporting me and this blog! 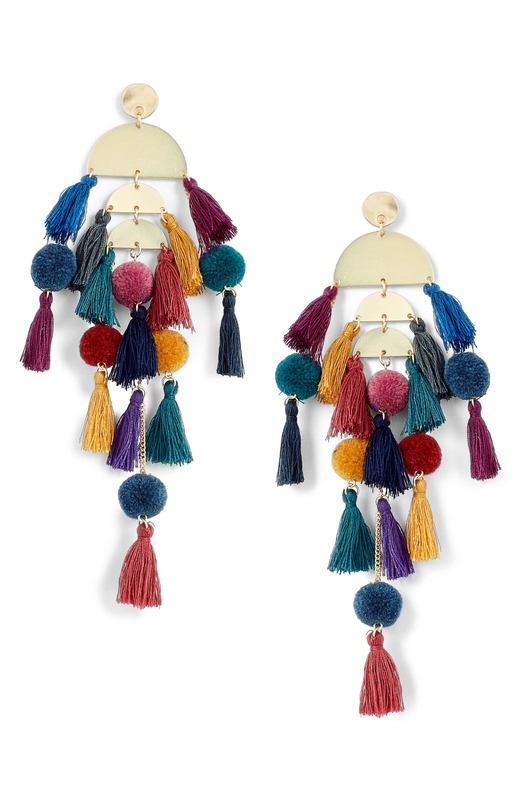 This summer I bought a pair of tassel earrings and fell in love. 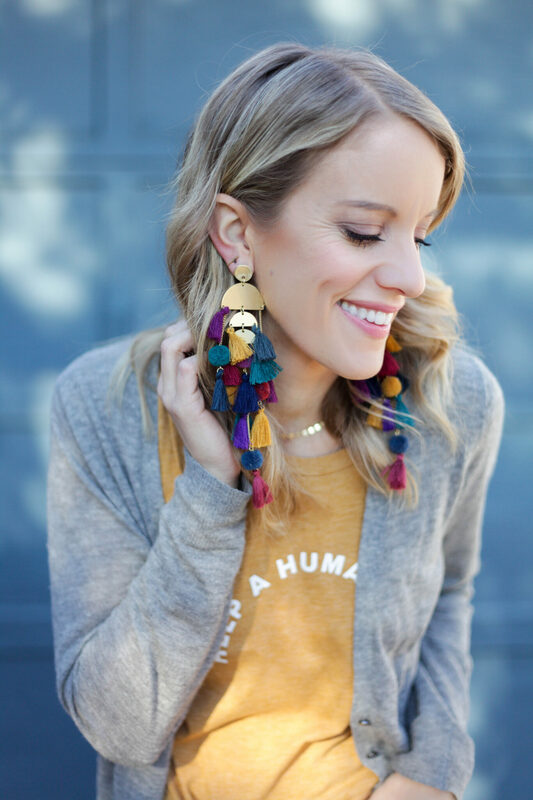 I adore how tassel earrings can be so huge but still light! 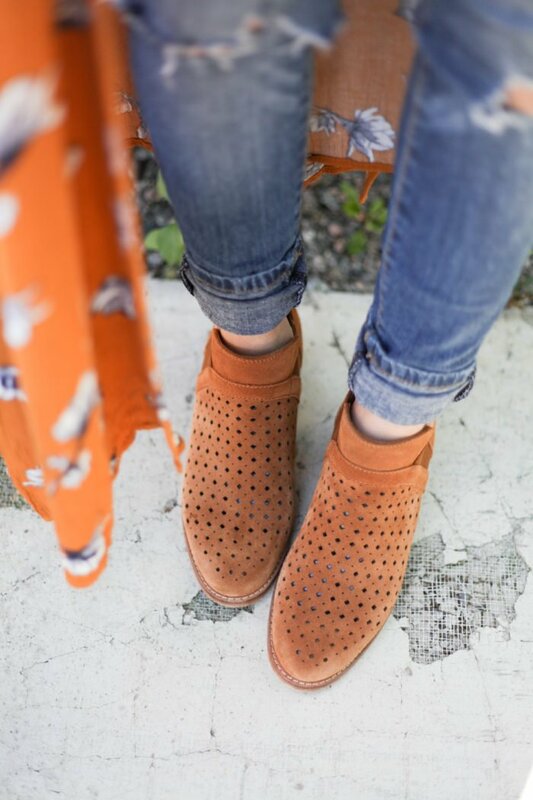 And they always make a big impact on your outfit! My first pair was a simple black ones and found myself wearing them on the regular so I decided to pick up a few more. I added a pink pair, a blue pair and a white pair to the mix and have loved all of them! Recently, I was at my local Nordstrom’s and spied these stunners. I legit couldn’t stop thinking about them for a few days so finally hopped online to buy them and I am SO happy I did! 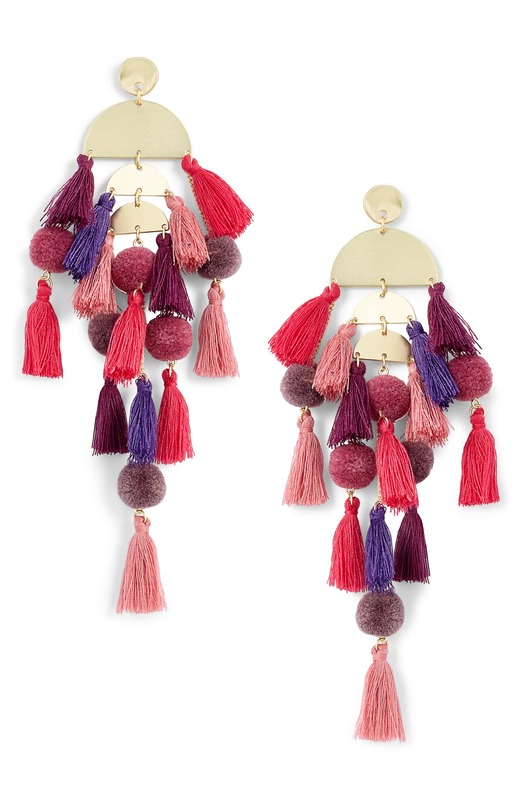 They’re way more giant than any of my other tassel earrings so I was worried I wouldn’t actually wear them. There’s nothing worse than spending money on something and realizing you hate wearing them! Turns out I wear them every chance I get. And the best part? Every single time I wear them, I get so many compliments on them! I wore them out to an event recently and had so many strangers saying how much they loved my earrings. It was one of those days were I was exhausted and felt like I looked exhausted. (Tell me you know those days!) However, these earrings spiced things up a bit and allowed people to look past the bags under my eyes and see a pair of really fun earrings! 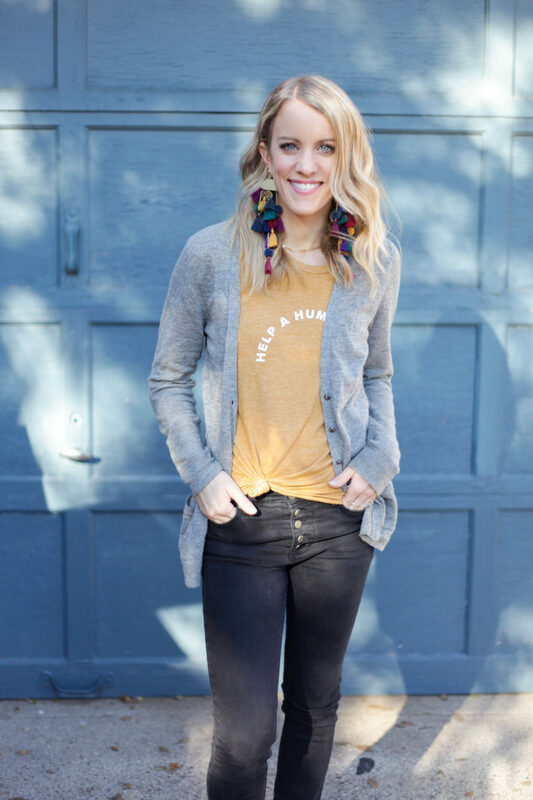 If the colors make you nervous, these particular ones come in 3 different color options – black, shades of pink and the fall colors I’m wearing! 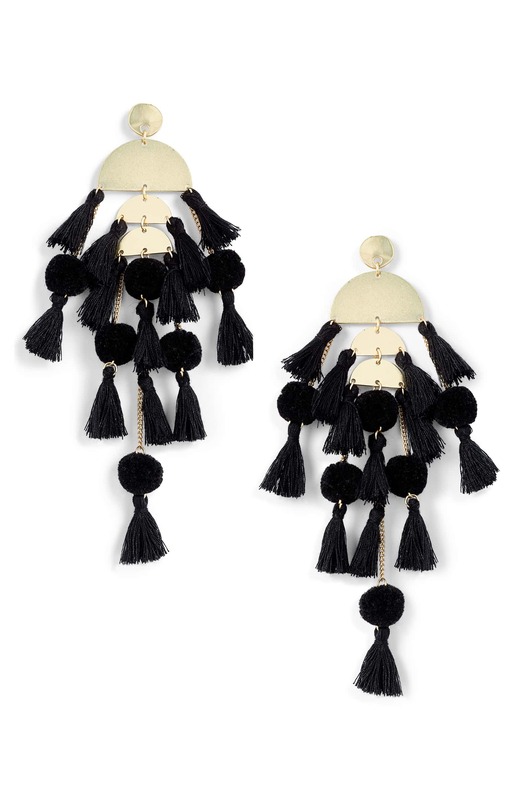 I know many of you love the black tassel earrings I wear a lot (that are sold out) so these are a great substitution! 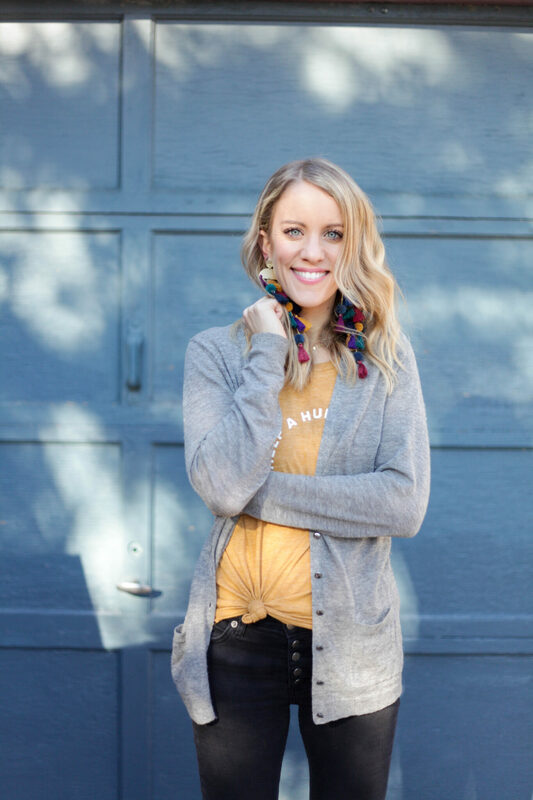 Take a peek into your closet and see which pair would go with the most things and go for those! 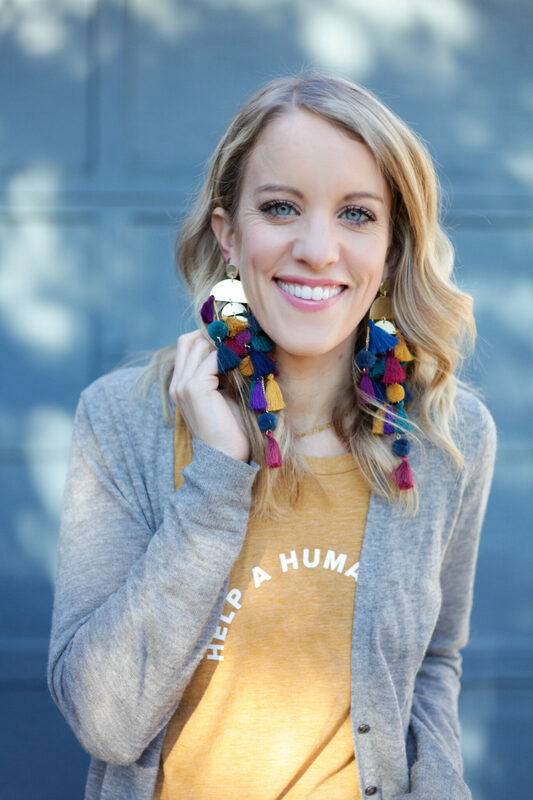 Here are a few other gorgeous tassel earrings for you to check out at all different sizes and price points!